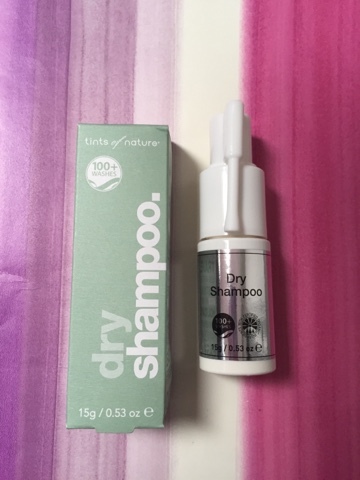 I love dry shampoo, I am not going to lie… I use it probably for half of the week? It’s not that I can’t be bothered to wash my hair everyday, it’s the fact I dye it stupid crazy colours that fade with every wash so I want to wash it as little as possible! Quite often dry shampoo can be so powdery and white it just looks stupid and you either ending up washing your hair anyway or trying to brush it out so much your hair gets greasier than it was before! This dry shampoo from tints of nature is literally one of my favourite hair products right now. It is easy to use(even if the spout looks a little weird to use at first!) and this tiny bottle can be used 100 times! I quite like organic hair products as I feel that are a lot safer to use and kinder to your scalp. This dry shampoo is easy to carry around and use on the go and it leaves your hair looking and feeling cleaner without that awful powder look!